Her name is Fluffy — and she's not done growing. 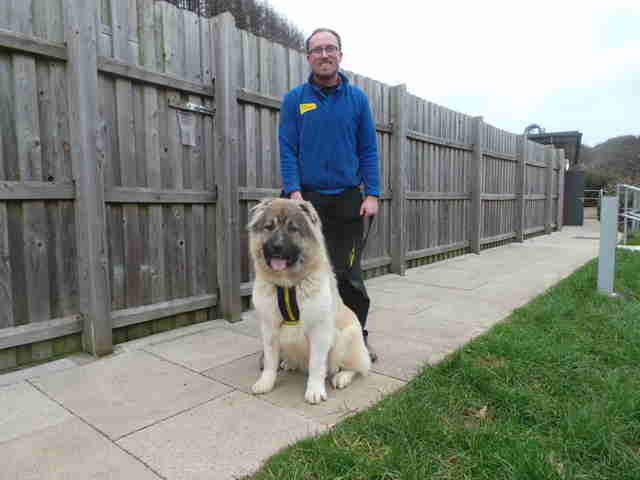 No one knows where Fluffy came from, but one thing is for certain: She’s one of the largest puppies that rescuers at Dogs Trust have ever taken in — and she’s still growing. Found wandering the streets of North Devon, England, Fluffy was brought in recently by the local dog warden. She waited for a week for someone to claim her, but no one came forward. 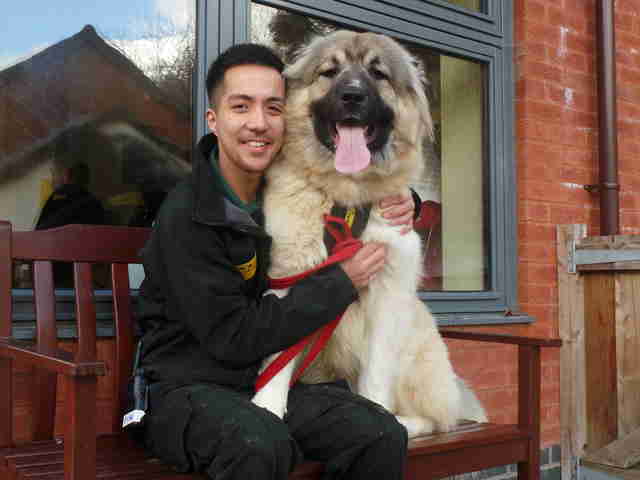 Weighing in at just under 100 pounds, 10-month-old Fluffy is a Caucasian shepherd, a massive working breed native to Russia and Armenia once used to protect livestock from wolves and bears. Their size and strength gives them the nickname “Russian Bear Dogs” — and Fluffy is quite the teddy bear herself. While most of her past is a mystery, Fluffy doesn’t bear any signs of trauma from her time on the streets and she’s healthy enough to be adopted out right away. To get Fluffy ready for her forever home, trainers are working with her daily on skills like leash walking — which is especially important as she’s still learning her own strength. So far, she’s catching on very quickly. While it’s hard to tell exactly how big she will end up, adult Caucasian shepherds can weigh up to 200 pounds and stand at around 2 feet tall on all fours — which would put her at around the same size as a small Sumatran tiger. On her back legs, she’s already 5 feet 6 inches tall. 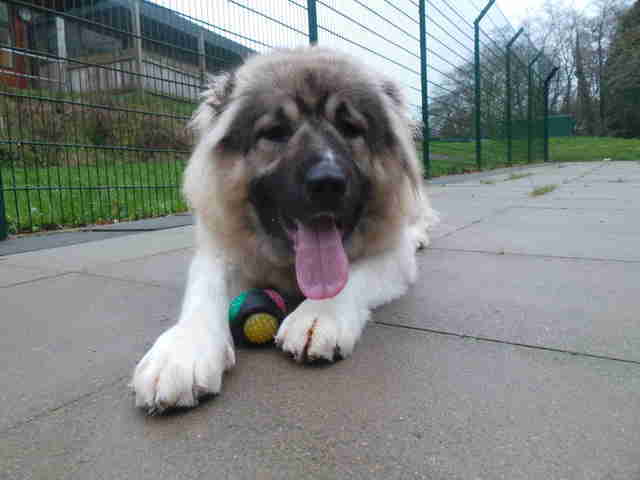 Since she’s so big and has plenty of puppy left in her, the rescue is looking for an adult and teenage-only home for Fluffy that can continue her training and give her plenty of daily exercise. So far, the rescue has received a flood of adoption inquiries about Fluffy, so they have put her on temporary reservation to file through the many applicants. To support the continued care of Fluffy and other dogs in the care of Dogs Trust, you can make a donation.